Jerry "The King" Lawler On Reaction To Trump's CNN WrestleMania Beatdown Video: "Lighten Up"
Last week, we all witnessed the most presidential thing Donald Trump has done since being elected when he tweeted a video of himself beating up Vince McMahon at WrestleMania 23, with the CNN logo superimposed over McMahon’s face. Trump’s assault on the media was met with backlash, particularly after it was discovered that the video was created by a Reddit user named HanAssholeSolo with a history of racist posts. 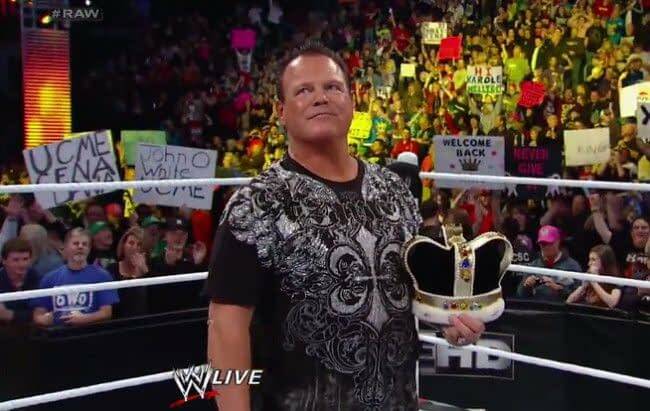 However, pro wrestling legend Jerry “The King” Lawler was apparently a fan of the tweet, and his support of it on Twitter landed him coverage in the mainstream media, including on Newsweek. To me, it was pretty cool, no matter who the President is. It’s the President of the United States and they put out a tweet and you’re in it. I mean, c’mon! There’s not many people that can say that happened to them, so I just thought it was cool. Everyone just needs to lighten up. That was a funny tweet. You gotta admit, whether you like Donald Trump or whatever, it was the President of the United States putting out a funny tweet. Lighten up. What is wrong with that? Lawler is definitely wrong about at least one thing: who hasn’t the President tweeted about lately?! It’s not as exclusive a club as he thinks.